Going mobile – You can't take the sky from me. 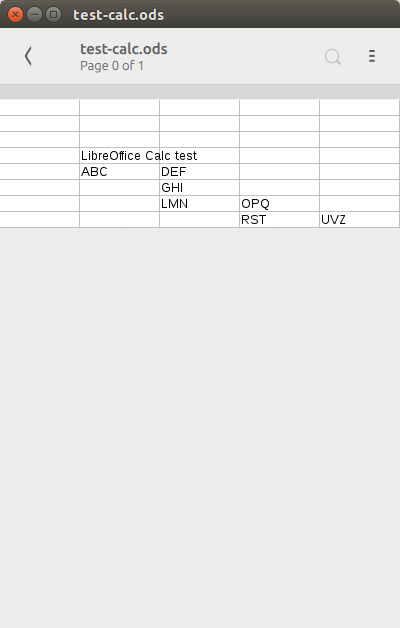 Thus the doc viewer was quickly integrated with LibreOffice in a basic way. 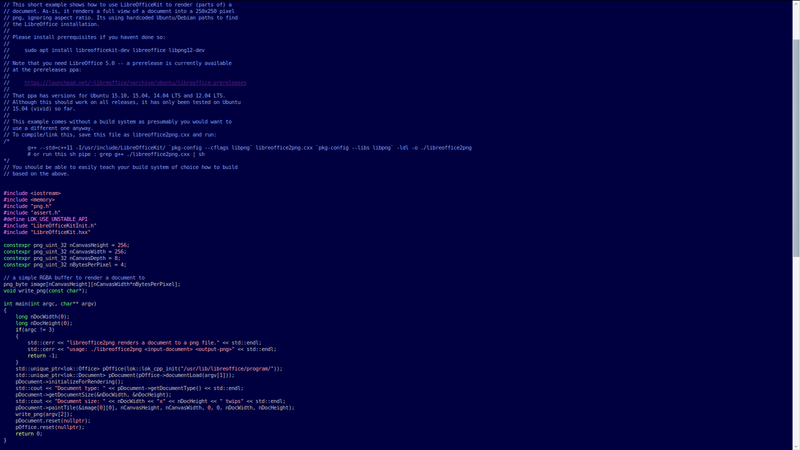 This proof of concept isnt finished however: It just renders the all the document in one buffer. For small documents, this is reasonable, for bigger documents, tiled rendering — which LibreOfficeKit nicely supports from the API by allowing you to render any part of a document in a buffer — needs to be implemented on the clientside. The code for this can be found on launchpad, so if you are just curious how this works you are invited to have a look. If you are interested in helping out with moving this forward towards a nice all-around document viewer reading and rendering everything LibreOffice can, you are most welcome! Next Post Blast from the Past: the Pimpl?